Scientists in Russia have made a major breakthrough in permafrost research - they have germinated a 32,000-year-old ice-age seed. Scientists in Russia have made a major breakthrough in permafrost research. The team, whose work is based in Siberia, successfully germinated a flower from an ice-age seed which is about 32,000 years old. The scientists found an ancient frozen nest of Arctic ground squirrels 30 metres underground. They took some of the seeds they found in that nest and brought them back to a lab. Their attempts to try to resurrect ice-age life from the permafrost were successful – they produced a small white tundra flower from the seed. 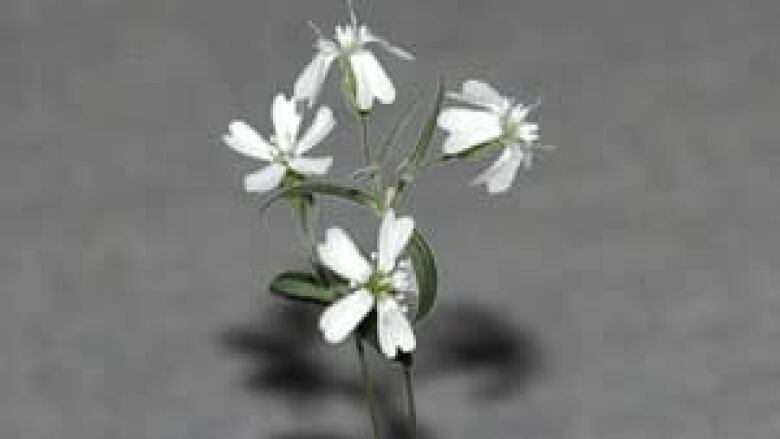 The plant is called Silene stenophylla, which is like an ice-age version of a chickweed – a flower which lives in very dry tundra. "This thing just raises the bar incredibly in terms of our understanding in terms of the viability of ancient life in the permafrost," said Yukon paleontologist Grant Zazula. Zazula said the discovery shows just how much the world can learn from the permafrost. "The permafrost across the Arctic is this treasure trove of ancient life, and not just extinct ancient life that we think of as fossils, but also viable ancient life that, given the right circumstances, can come back to life," said Zazula. The permafrost in Siberia is much colder than in Yukon. Zazula said with thawing permafrost, there is likely to be more exciting discoveries coming out of the ground.